Concerns have been raised after reports of anti-social behaviour around commercial premises in Ballyclare in recent weeks. It is understood that crowds of up to 70 teens have been causing disturbances in the town at stores including Asda. 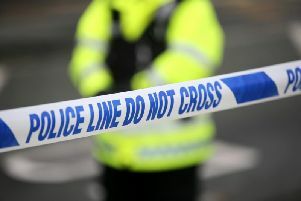 The Times understands a number of incidents have occurred in recent weeks, particularly in the Park Street area, with newspapers being set on fire on one occasion in the Asda carpark. Inspector Ian Lockyer stated: “We understand the extent to which anti-social behaviour can have an adverse effect on the quality of life for the people affected by it, and as such, we have recently stepped up patrolling in the area and met with local representatives to discuss the matter. Inspector Lockyer added: “We would encourage the public to report incidents of antisocial behaviour to us as they occur in a bid to help prevent and detect crime.